In the luxury real estate industry, video marketing can make or break a sale. Though creating video marketing campaigns can be more time consuming and costly, the effort pays off – literally – as over 70% of homeowners say they are more likely to list with a realtor that uses video marketing. Despite the consensus that video technology is a useful real estate tool for both buyers and sellers, only around 9% of agents utilize this technology. Why use video technology in real estate? Growth and increased conversions – Companies who incorporate the use of video marketing strategies experience growth 49% faster than the competition and generate up to 80% more conversions. Improved connection with clients – In a social media age, consumers only retain approximately 10% of the information they read; however, video marketing technology can increase retention rates to 95%. Stand out from the competition – Not only are homeowners more likely to list with video-savvy agents, but potential clients spend up to 88% more time engaging with content that includes video. Reach a broader audience – In a growingly technological world, it is increasingly apparent that video technology is a useful and sought-after marketing technique in the real estate industry, particularly regarding the purchase and sale of luxury real estate. As many luxury real estate properties are purchased remotely, an effective video marketing campaign can expedite the process and attract a broader range of clientele. Some cutting-edge agents and agencies are even taking their digital marketing reach a step further with customized, portable video brochures. 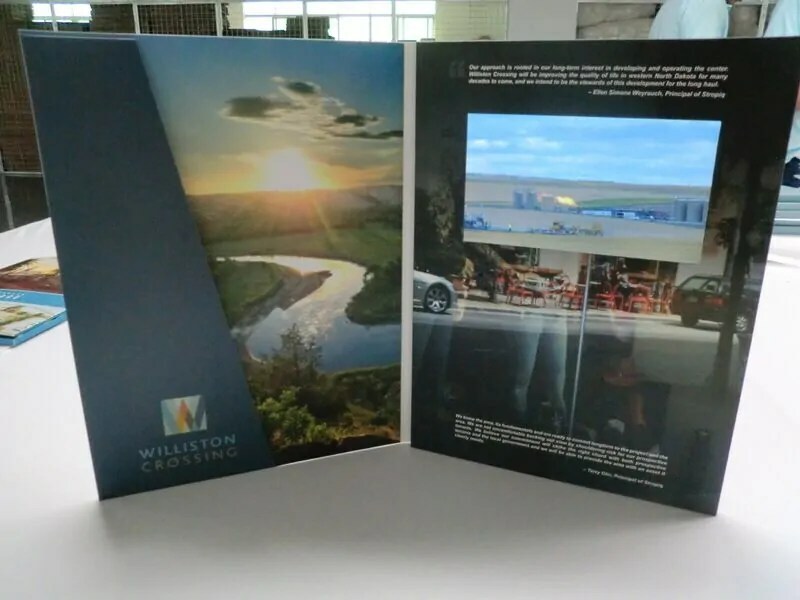 These highly impactful “brochures” combine print and video into one unique marketing presentation – allowing clients to see their videos anywhere at any time with no internet connection required! 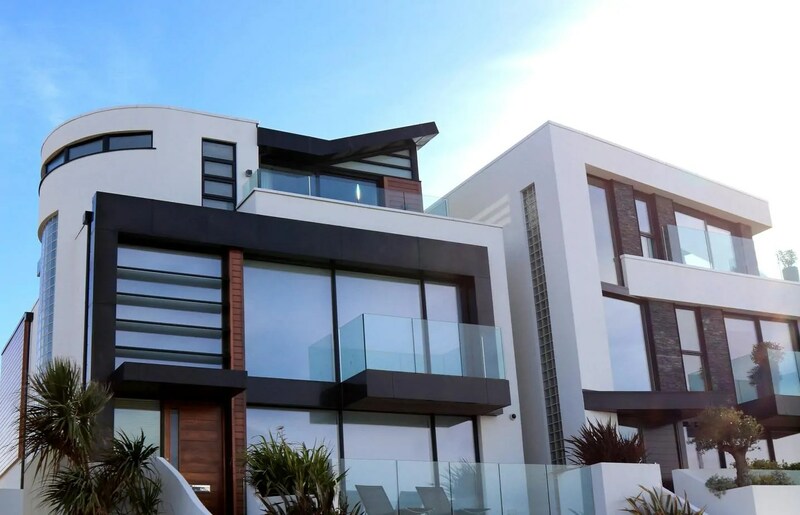 They provide the ultimate luxury real estate experience with beautiful photo and video imaging delivered directly to their customers in person, or in the mail, home, or office – literally anywhere. Clients will receive a personalized experience that they can carry with them and conveniently share with family and friends. Promote luxury listings as well as your brand professionally and uniquely with customized video brochure marketing. As noted, video listings are demanded by consumers but underutilized by agents; take your listing to the next level with a high-definition video home tour showcasing the interior and exterior of the property. Many homebuyers believe that the surrounding neighborhood and community is even more important than the property itself when purchasing a new home – attract more potential buyers by including video footage of nearby parks, businesses, and developments. The use of drone footage in real estate is becoming increasingly popular as they provide amazing aerial images of both the home and the surrounding property. As mentioned, people are much more likely to engage with and remember video content over text content; build a personal relationship with new and potential clients through “About Me” videos. Frequently, the best business promotion is word-of-mouth – testimonial videos from former clients, local businesses, and colleagues can help grow your real estate business. A leading creator of innovative video content embedded in print marketing products, Video SmartBooks offers video marketing redefined with customizable video brochures for the luxury real estate industry. Exemplify what makes your properties and your business one-of-a-kind with easy to use, high definition video brochures, video mailers, and video business cards shared directly to your clients. Combined with your other video and print marketing efforts, they will surely make you stand out from your competition and impress your clients.